СММ-4RP – a New Solution for Sorbent Reactivation - ! Equipment for Transformer Oil Reclamation. GlobeCore. 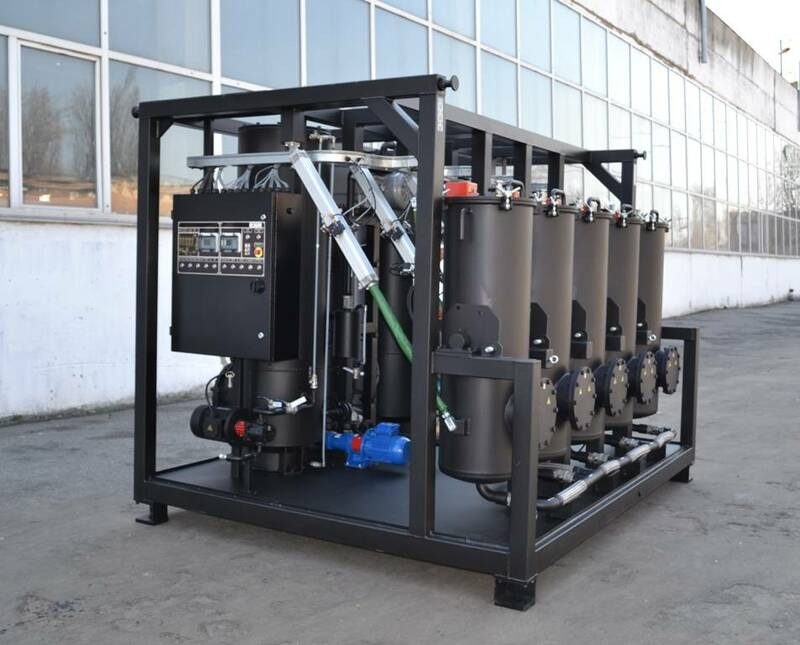 This February GlobeCore unveiled the new СММ-4RP unit designed for reactivation of waste sorbents. Adsorption refining of oil products ensures stability of their composition and helps improve the physical and chemical properties and performance. However, sorbent become saturated over time and cannot perform their function. In this case, they must be either disposed of or reactivated for further use. The СММ-4RP unit produced by GlobeCore can recondition waste sorbents by high temperature and vacuum treatment. The sorbent saturated with impurities is loaded into columns. The reactivation process takes about 20 hours. Upon completion of reactivation, column lids are opened, the columns turn upside down and the sorbent is offloaded. deactivated waste sorbent can be disposed as regular construction waste without environmental pollution. A detailed description and specifications of СММ-4RP unit can be found here.